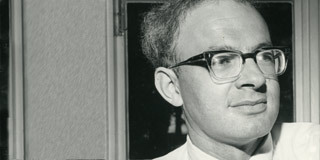 George Dreyfus is an award-winning Australian composer. He started his career as a bassoonist and in 1953 was part of the ABC’s Melbourne Symphony Orchestra. He later became a freelance composer, writing TV and film scores, his most famous being the theme for the TV show Rush. In 1992 he was made a Member for the Order of Australia for his services to music. Synchronos was an experience in sight, sound and space, performed in 1972 by two Fellows: Jozef Stanislaus Ostoja-Kotkowski and Don Banks. Ostoja-Kotkowski was a pioneer in engaging his art with technology. His work often aimed to combine art, sciences, engineering and the humanities. 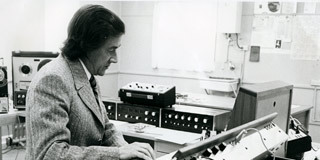 Banks was a composer who founded an electronic music studio at the Canberra School of Music in 1973, and was appointed a Member of the Order of Australia in 1980. 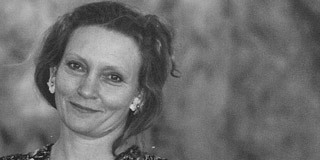 Robyn Davidson is an avid explorer and a gifted writer, and is most well-known for her 1977 book Tracks chronicling her 1,700-mile trek across the Western Australian deserts. While training for her desert trek in Alice Springs in 1975, she also became a campaigner for Aboriginal rights. A film adaptation of Tracks was released in 2013. 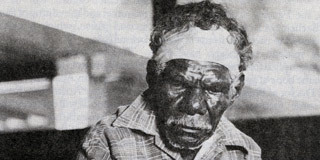 Born in 1914 to the Mangalili clan Aboriginal artist Narritjin Maymuru was – along with his son Banapana – one of the first Aboriginal artists to be awarded the Fellowship. Maymuru’s life as an artist included being a performer, an advocate, a politician, a clan head, a ceremonial leader, a philosopher and an entrepreneur. Maymuru believed that art had the power to transcend cultures. 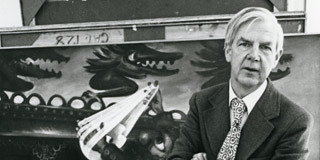 One of the leading Australian painters of the 20th century, Boyd came from a dynastic family of architects, sculptors and painters. 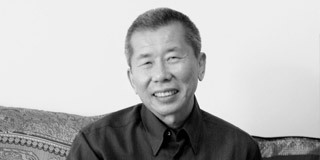 He was an expert on changing technique dependent on preferred style, media and location. His artwork is in galleries in Australia and internationally. William Yang is a renowned Australian performance artist, documentary maker and photographer. Since 1989 he has combined his images with words and music, performing monologues with slide projection. His work often explores issues of identity, and is in many national collections.